Thinking about taking a road trip? 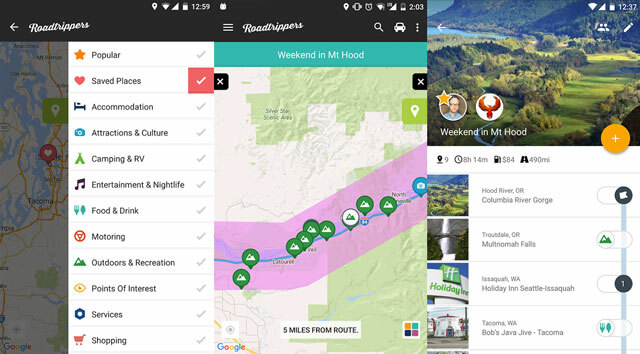 Be sure to load up on our picks for the best road trip apps. Whether you're out of gas, looking for something to see along the way or want to steer clear of speed traps or traffic, there's an app to help. And, of course, remember to stay safe—don't try to use your phone while you're driving, no matter how handy the app. Looking for a bite to eat? A restroom? WiFi? Something to see along the way? There are apps to help with all of these situations. If you're traveling on a major highway, iExit (Free in App Store and Google Play) is a great resource for amenities available at upcoming exits. There's information on restaurants, gas stations grocery stores, hospitals, hotels and more. Once the app finds you on a highway, it will show you the upcoming exits along with icons to represents amenities and how away each exit is. Then for each service, you can see just how far you'll to travel off your route—much better than those icons on the highway signs. If you're planning a trip, you can select a highway to plan out your stops. If you're looking for gas, also open up Gas Buddy (Free in App Store and Google Play) to compare gas prices. The prices are crowdsourced, so less-frequented areas may not have up-to-date information. You'll know, though, because you'll able to see when the prices were posted. If it's a bathroom you're after, we like Sit orSquat (Free in App Store and Google Play). 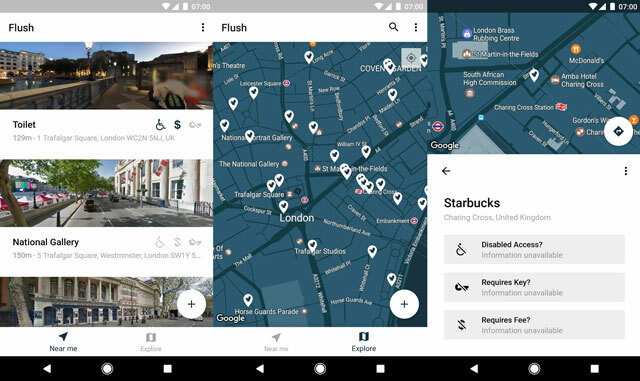 The app doesn't have a lot of locations, though, so if you're not finding a toilet in your area, try Flush Toilet Finder (Free in App Store and Google Play). Flush doesn't have restroom ratings but may have more up-to-date locations. No one likes getting stuck in traffic or getting a ticket, so use an app to get alerted before you get stuck. No one likes getting stuck in traffic or getting a ticket, so use an app to get alerted before you get stuck. For a free traffic option, our pick is Google Maps (Free on App Store, preloaded on Android devices). Not only does it show you the quickest route when you start out, but it will also alert you when a faster route becomes available. If you're concerned about tolls and gas adding up, check out TollGuru (Free on App Store and Google Play). You can calculate tolls and gas together for a wide range of vehicles, including cars, motorcycles, RVs and SUVs towing a trailer, among others. Input your car make and model year and expected gas price for the best accuracy. You can plan routes in the U.S. and Canada. 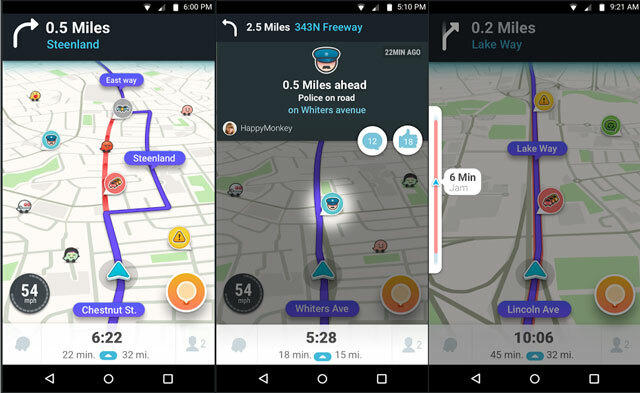 If you typically use a radar detector, you'll appreciate Waze (Free on iTunes and Google Play ). This traffic app uses crowdsourced data to find a faster route for your commute, but the alerts provided by other users include speed traps as well. With a large user base, this app is as good as real-time traffic reporting gets. Don't want to miss any sightseeing gems on your trip? Enter your starting point and your destination and the Roadtrippers app (Free in App Store and Google Play) will find you interesting places to stop in between. 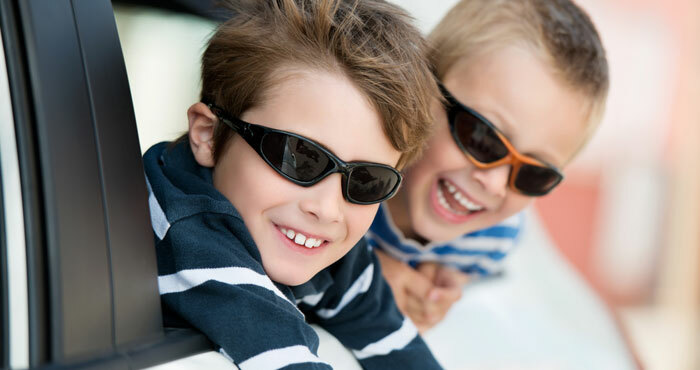 Pick from categories such as amusement parks, adventure sports, historical markers and hiking, and you'll see places pop up along your driving route. You can read up on each attraction and choose to add it to your trip or your "Bucket List." Adding new places to your trip can be a little buggy with the app, but the search function alone is worth it. Atlas Obscura may not have an app, but the website will help you find fun and more obscure attractions. You can search by type of attraction or your location. For instance, there are a lot of famous attractions near my office, but Atlas Obscura picked out the Graffiti Hall of Fame. If you don't like to be locked into staying in a particular hotel or town as you travel, you can book your room while you're on the road. 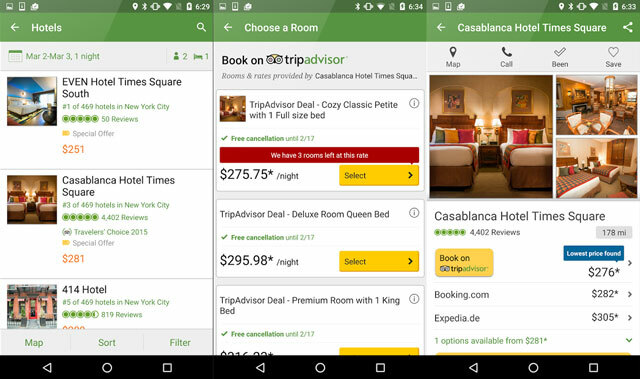 Trip Advisor (Free in App Store and Google Play) lets you search for hotels by city or zip code. Or you can find hotels that are closest to your current location. The app pulls up the highest ranking hotels first, lets you check rates and tells you how many miles away they are or shows them on a map relative to your location. If you're in or near a large city, Hotel Tonight (Free in App Store and Google Play) provides last minute travel deals (sometimes up to 70% off) for hotel rooms, literally, tonight. 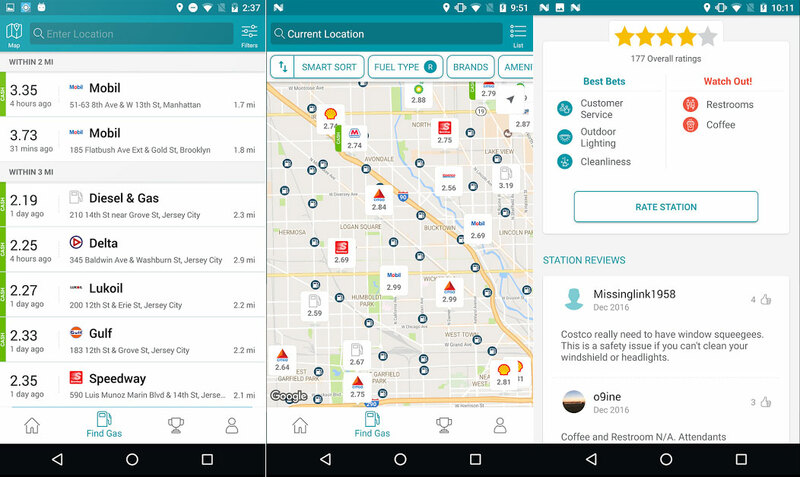 It can be the perfect app for finding a hotel that evening when you're out on the road—and around one of the locations that the app supports. After a long day of driving on the open road, it’s too easy to pull off the highway at the first sighting of a familiar fast food sign. But you’re missing out on all the great small places with authentic and healthy regional food. That’s where Yelp comes in (Free in App Store and Google Play). Not only does it show you local eateries, but it also lists microbreweries, organic coffee shops, and farmers markets. 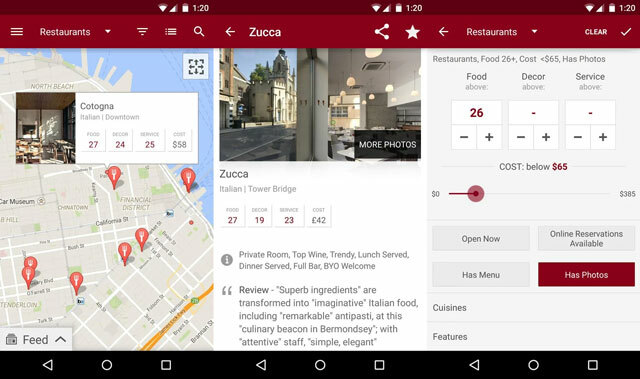 If you’re in a major city, Zagat (Free in App Store and Google Play) will help you find a unique and highly rated eatery. It allows you to search by destination and you can sort restaurants by cuisine, price, features and more. No matter what your taste and budget, you're sure to find some great eats. When arriving in a strange town, finding parking is going to be your first task. 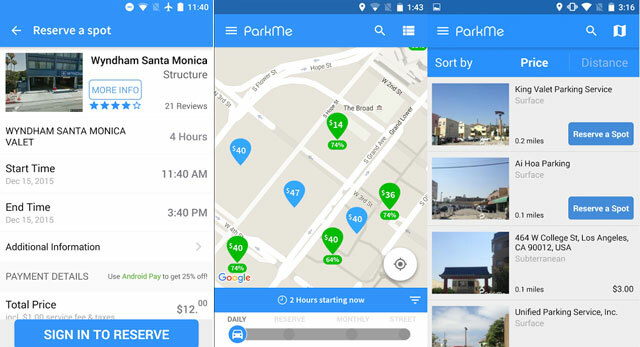 The ParkMe app (Free on App Store and Google Play) will show you available garage and street parking either immediately around you or anywhere you search on their map, along with the cost for each one. You can filter your search by either garage or street parking, as well as cheapest or closest spaces. Still can't decide? Tap the ParkMe button at the bottom of the screen, and the app will recommend the cheapest option in the area. Also, the app will tell you how many spaces are left in the garage or on a particular metered street, so you can judge if you can make it there in time to take advantage of their availability. Once you're parked, there is a handy in-app timer you can set to warn you when you have to move your car (great for metered street parking.) And in case you can never remember where you parked, you can also mark the location of your spot in the app before you walk away. It’s not a real road trip unless your vehicle breaks down and you’re left stranded by the side of the road, without air conditioning. When this calamity strikes, Blink Roadside (Free on App Store and Google Play) can come to the rescue. 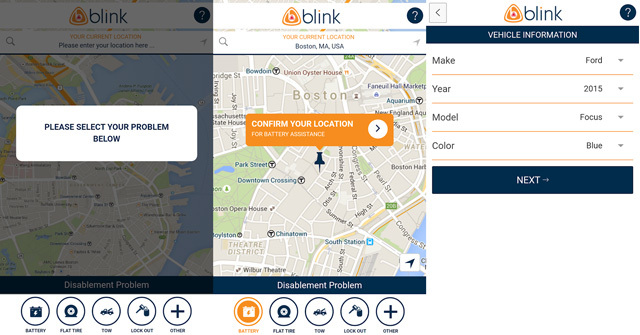 The app’s one-touch roadside assistance, which will connect you to a call center that will make sure you get a tow, gas, tire change, battery charge or lockout assistance. You get an up-front flat-rate price for the service, which you pay only when the service is completed. Much better and easier to use than Google Maps app IMO. I was also going to post about Waze - I don’t know why anyone would ever recommend Google Maps over Waze… nor do I know how I managed to live so long *without* Waze. I learned about it a few months ago, now I use it anytime I’m driving more than a few miles. There’ve been a few times it’s directed me to do things that made me think it was going crazy and sending me who knows where… every time, after doing what it told me to do, it became clear just how amazing a job it can do at redirecting you past as much traffic as possible by sending you down alternate routes and back. Well they would recommend the source data (Google Keyhole) over its crappy subsidiary which seems to be aimed at the one demographic that doesn’t drive, tweens with its unprofessional cartoonish interface. Is there an app that shows upcoming rest stops along highways? What about privacy issues with Waze? Why no Amazon Store Apps? I have an Amazon Fire phone. I cannot use apps from Google OR iTunes on it - only apps in the Amazon App Store. I realize the Fire phone has a small segment of the current smartphone market But PLEASE provide at least Some content for it. Many of the apps listed above - Google Maps, Waze, Gas Buddy, OpenTable - are available on Amazon. If something above interests you, it’s worth checking on Amazon to see if you can get it for your Fire phone. Thanks so much. Waze is in the AppStore at Amazon and installed with no problems. My prior comment was prompted because the AppStore is Never mentioned as a source for the apps I see in the articles here; it Should be when an app is available there as well. The sightseeing and traffic one seems like they might come in handy the next time I travel. Awesome, thanks for listing these! How about Roadside Assistance App? I think Urgent.ly is also an essential app for any roadside trip. I checked out the app on the Google Play store. Looks like it doesn’t yet support Sacramento, CA so I’m sticking w/ AAA car care club and paying my $150/year. Does AAA have an app? That would be cool if AAA has an app…used to love how they marked up a map so you know where the cool stuff was along your route. I will suggest adding an app that calculates tolls and gas costs for the road trip. 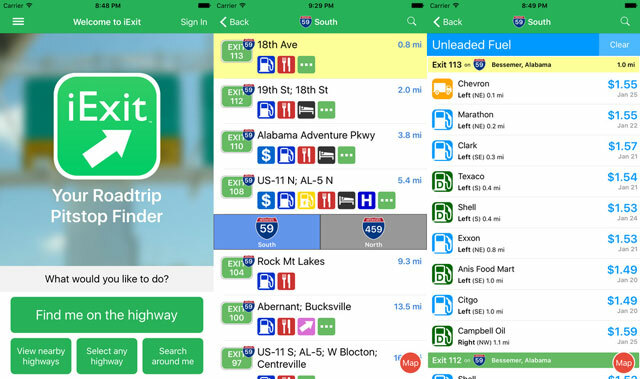 TollGuru is a neat trip-planning app that allows you to quickly look up the price of all toll bridges, roadways, and tunnels from start to destination. It adds up the costs of gas and toll to show you the cheapest, fastest, and compromise routes. Thanks for sharing this. I am a travel. I can relate to you.Travel is fatal to prejudice, bigotry, and narrow-mindedness, and many of our people need it sorely on these accounts. Broad, wholesome, charitable views of men and things cannot be acquired by vegetating in one little corner of the earth all one’s lifetime. You missed my favorite road trip resource: roadfood.com. It lists and reviews one-of-a-kind restaurants that showcase the rich local cuisines still found throughout the country. Just used it with great success for a cross-country car ferrying drive - in Austin (BBQ), Shreveport (Cajun seafood), Chattanooga (burgers), Shenandoah Valley (Virginia ham) and Scranton (“white pizza”). It’s called Rest Stops. It’s a blue app with a white winding road on it with 5 stars. 1 of the stars being red. driving on the highway. You get sleepy. Any App that will tell you the cheapest hotel in the area? I have always used gazbuddy,zagat,open table but not all of such apps provide a piece of very accurate and genuine information about places you travel.I prefer using Smeen over these since Smeen always provides me information about places I have travelled and also the people who are travelling with me there. I have recently come across AnyFinder (anyfinder.info) and find it very useful. It works with OpenStreetMap and helps me to quickly find the major kind of POIs from their database. Only works online though.